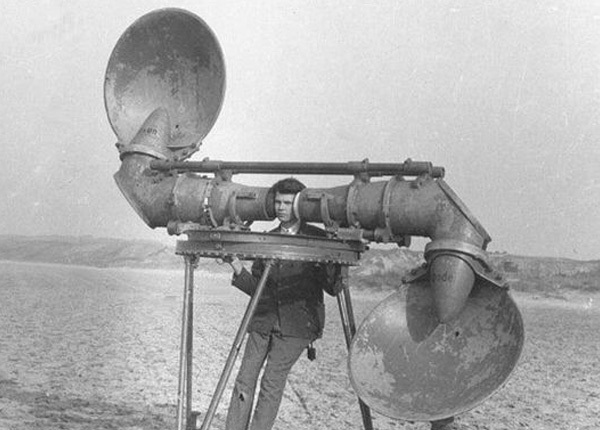 Before radar, it turns out that millions were spent on developing audio based aircraft detection hardware. For some reason I found these images riveting. A time before electronic devices.